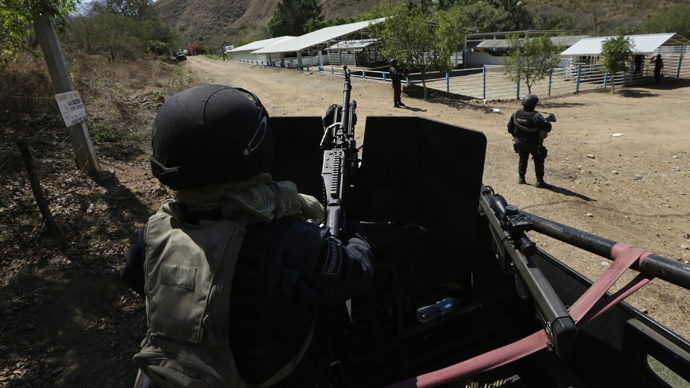 A security raid in western Mexico turned into an all-out, three-hour gunbattle between police and army on one side and drug cartel thugs on the other. At least 37 armed civilians and two federal police officers have been shot dead. The shootout took place in Mexico’s western state of Jalisco, at a private 112-hectare ranch, reportedly called Rancho del Sol (Sun Ranch), where drug dealers made their last stand. 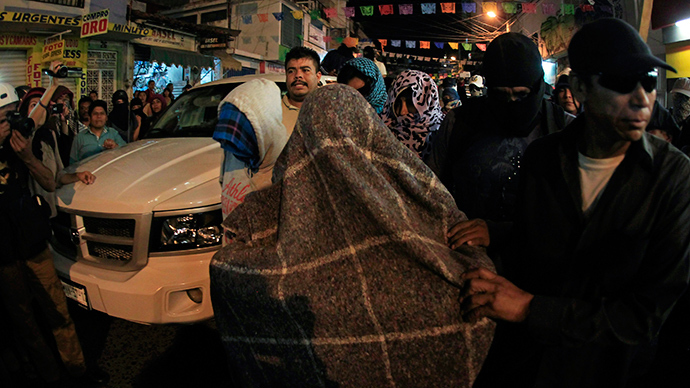 The number of victims makes it one of the deadliest shootouts in modern Mexican history. National Security Commissioner Monte Alejandro Rubido told journalists that all the dead were suspected criminals, but for one law enforcement officer, who was shot dead while attempting to provide medical assistance to a wounded colleague, Associated Press reported. The wounded officer died after the statement was made. On Friday morning a joint police and army raid in the municipality of Tanhauto, on the border between Jalisco and Michoacan states, was checking a tipoff on some suspicious activities at a local ranch, Rubido said. Arriving at the place, police encountered a truck full of armed men, who opened fire on them first and then attempted to flee. The assailants were chased to the gates of a big ranch which turned out to be swarming with gang men, all carrying guns. Those “started to attack [the police] with intensity,” Rubido said. The police patrol called for backup, and more officers, army servicemen and a police helicopter arriving at the scene and besieging the ranch. A fierce gunbattle lasted for three hours and ended with the destruction of the criminal group, with 37 of them being killed and just three being captured alive, according to AFP. Other reports put the death toll among the gang at 40. Police have retrieved an arsenal of firearms from the ranch, including 36 semi-automatic rifles, a grenade launcher that was used on law enforcement and a .50-calibre rifle, plus some small firearms. Rubido said the killed suspects were members of “a criminal organization operating in Jalisco state,” without elaborating further. 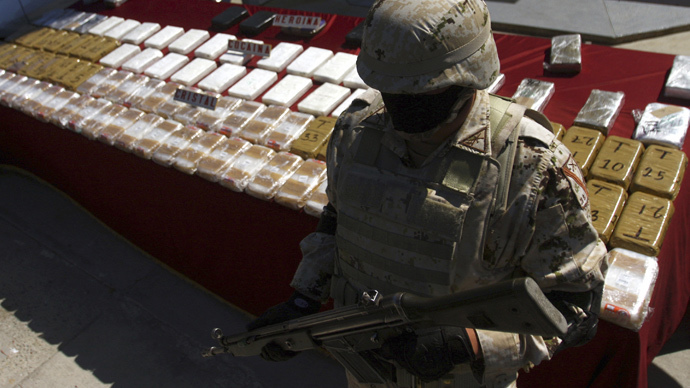 AP identified Jalisco New Generation (JNG) as the drug cartel that dominates the state. Photos from the scene of the gunbattle show many dead bodies with guns lying nearby, pools of blood among sleeping bags on the patio of the ranch’s main building and a number of burned out vehicles. The disproportion in number of criminal and police casualties resemble a lot another similar incident that took place a year ago. 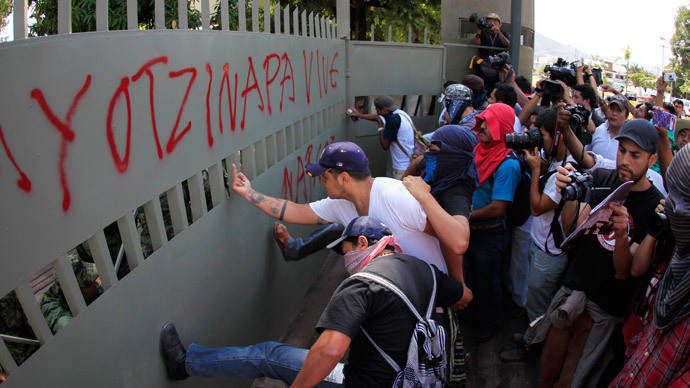 On June 30, 2014, a shootout between Mexican army troops and alleged criminals left 22 suspects dead and one soldier wounded. An independent investigation conducted by the AP at the time maintained that some criminals were shot dead after they surrendered. Mexican police are known for using extreme force when dealing with the cartel. Some mass killings have taken place in the anti-drug war in recent weeks. 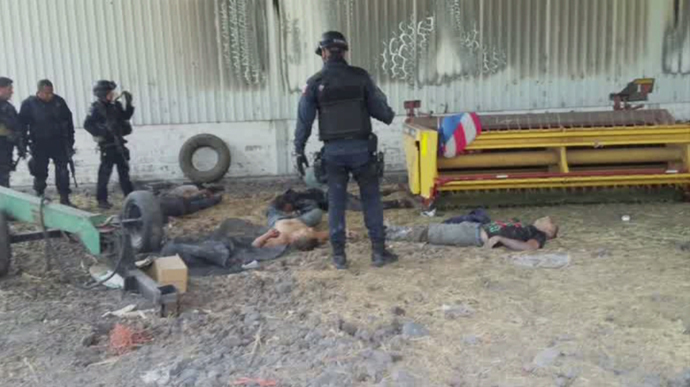 In April, JNG hitmen ambushed a police convoy in Jalisco, killing 15 officers and wounding five more. 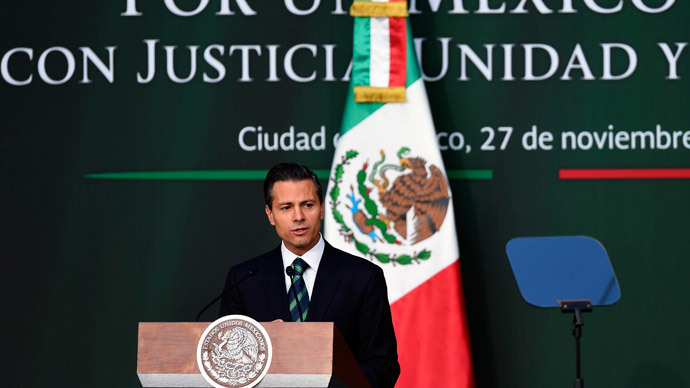 In May, the JNG used a rocket launcher to shoot down a military helicopter in Jalisco, killing eight people aboard. 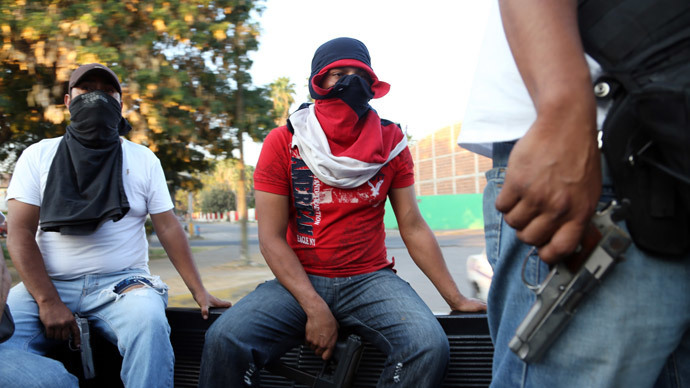 An offshoot from a previous cartel, Sinaloa, Jalisco New Generation has gained power and influence as the Mexican government has launched its war on drugs and made the old cartels bleed considerably over the last few years. However, JNG has not given in to the government’s efforts and even made some gains, grabbing rival cartels’ territory and taking over their supply chains.